Even after they've been banished from the banister, stair spindles can still play an important supporting role. If you have a few left over from a renovation, see how you can reuse them in five surprising repurposing projects. On your last trip to the architectural salvage yard, you doubtless saw scores of antique sinks, windows, and at every turn, balusters. Most often made of wood, these spindles once supported the handrail along a staircase. When that staircase came down, the spindles—with their slim profiles sporting decorative notches and curves—were freed to be used elsewhere in and around the home. Scroll down to see five creative ways DIYers are reusing balusters. The long and slender shape of stair spindles makes them preternaturally fit for use as supports for small tables. 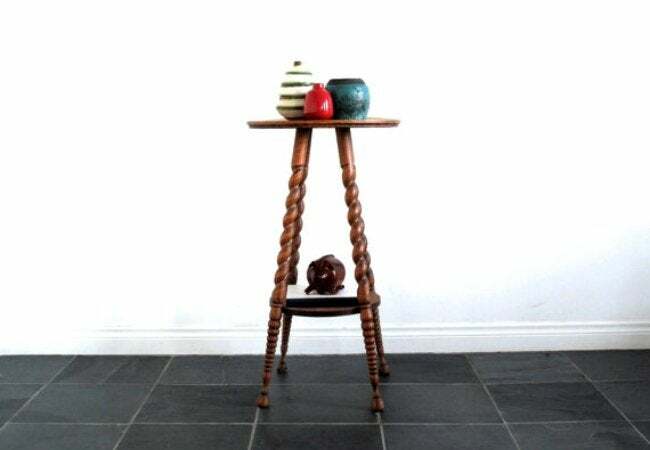 With four spare spindles—or even three—plus your choice of tabletop, you can, quickly and pretty easily, put together an elevated surface that would function perfectly as a nightstand or end table. 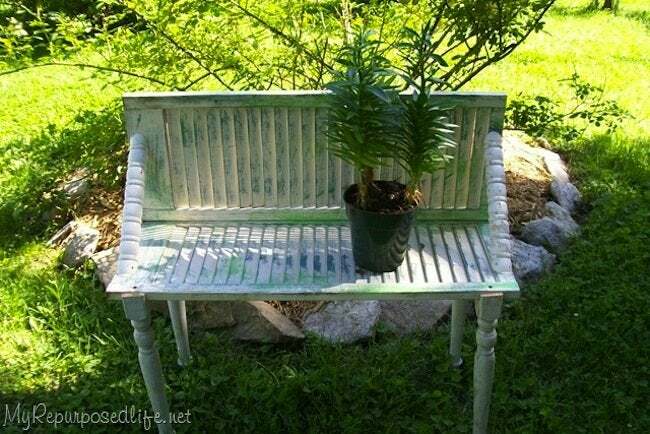 This charming little bench from My Repurposed Life illustrates how you can upcycle two leftover materials at once. A quartet of balusters, combined with a couple of shutters, creates a bench destined to sit pretty on the porch. To complete the look, give both the shutters and spindles the same distressed finish. 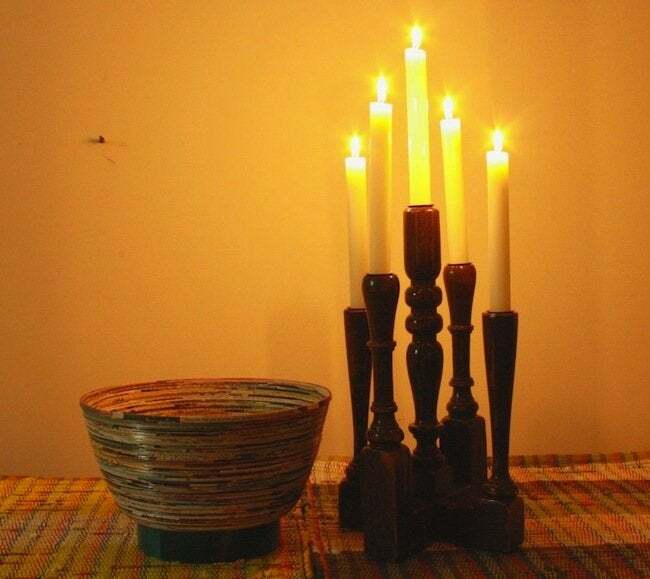 Hipcycle shows how well spindles lend themselves to reuse in a candelabra. It’s a simple process, perfect for beginning woodworkers. First, cut each spindle to a different height. Next, use a drill with a hole-cutting bit to form the candle-holding slot in each baluster. Finish by attaching the spindles to a wood base. 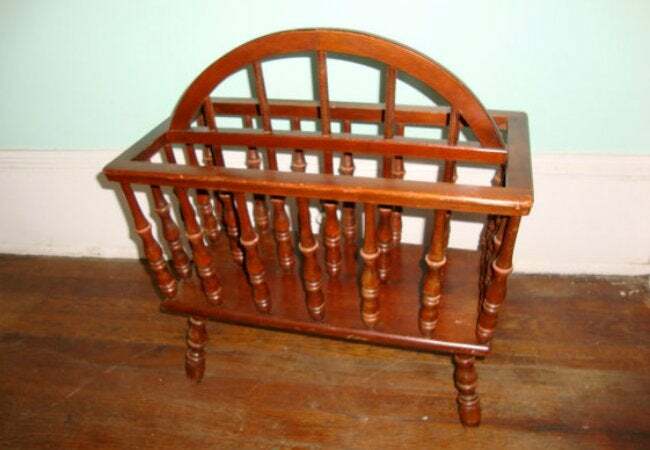 A bevy of balusters may be used to create a magazine rack or a similar storage piece, assuming you can handle yourself in the woodworking shop. In something like the piece pictured, spindles would form not only the furniture legs, but also the vertical members corralling the reading material kept within. Balusters can help you build a birdhouse that oozes with cottage character. 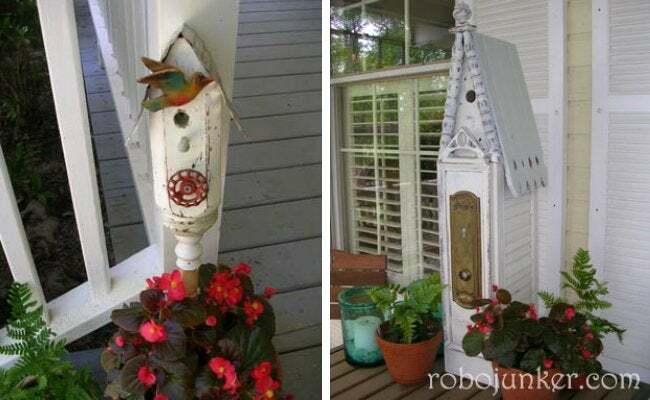 Whether the baluster itself serves as the birdhouse (left) or spindles add on as ornamentation for a larger assembly (right), it’s obvious that for an imaginative maker like Robo Margo, spindles are a stairway to new DIY heights!